When it comes to Jakarta, Indonesia the crew tend to stay at the hotel and soak up the sun by the pool, hit the gym or go for a massage. You can’t blame them though! There isn’t much time for us to do much else because we arrive in the early evening and depart around noon the next day. Despite this, I promised myself that I would try to get out and explore the city; and boy, did I do just that! My friends and I collect unused toiletries (slippers, shampoos, soap etc.) from the hotels we stay at and put together care packages for the less fortunate when we gather enough materials. This month, we were able to put together over 30 of them to send with me on my layover. 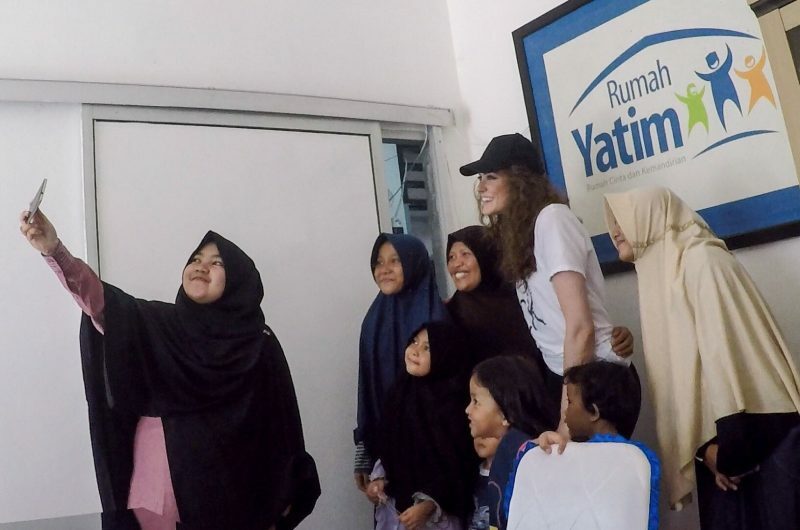 When I arrived at the hotel in Jakarta, the concierge directed me to Rumah Yatim, a nonprofit organization that helps to improve the lives of the poor and orphaned in Indonesia. The morning of our departure, I hopped into an Uber to try and find one of their locations to drop everything off at. Unfortunately, I couldn’t stay long because our wake-up call was a few hours away, but when I went to hop back into my ride, my uber driver was no longer there! There is a lot of traffic in Jakarta and the streets are full of people too. I had my crew suitcase with me, (to transport the donations) and was struggling to flag down a cab. A local saw that I was having trouble and tried his best to help me out with the little english that he spoke. He managed to flag down what looked like a mini-van and told me to jump in. I was afraid I was going to be late for our pick-up, so without thinking, I did just that! 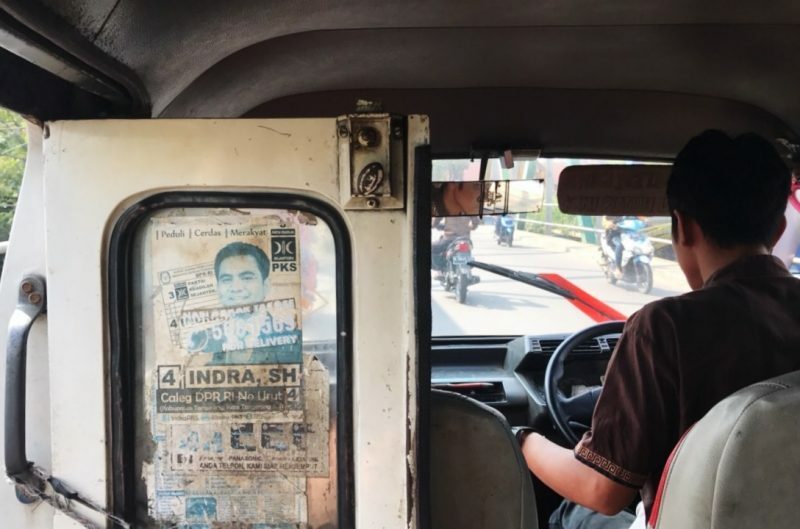 It turns out that I had hitched a ride in what’s called an “angkot”- a local form of public transportation. They go around the city and stop when you wave them down (like a taxi). You tell the driver the area you want to go to, and hop off when you pass by it. On the way to your destination, the driver picks up and drops off other people en route (instead of taking you directly to where you need to be). At the time, I didn’t know what it was or where he was taking me, but I made it back to the hotel on time and got to experience the city and its culture on my way there. Life is an adventure, and we need to learn to embrace it!